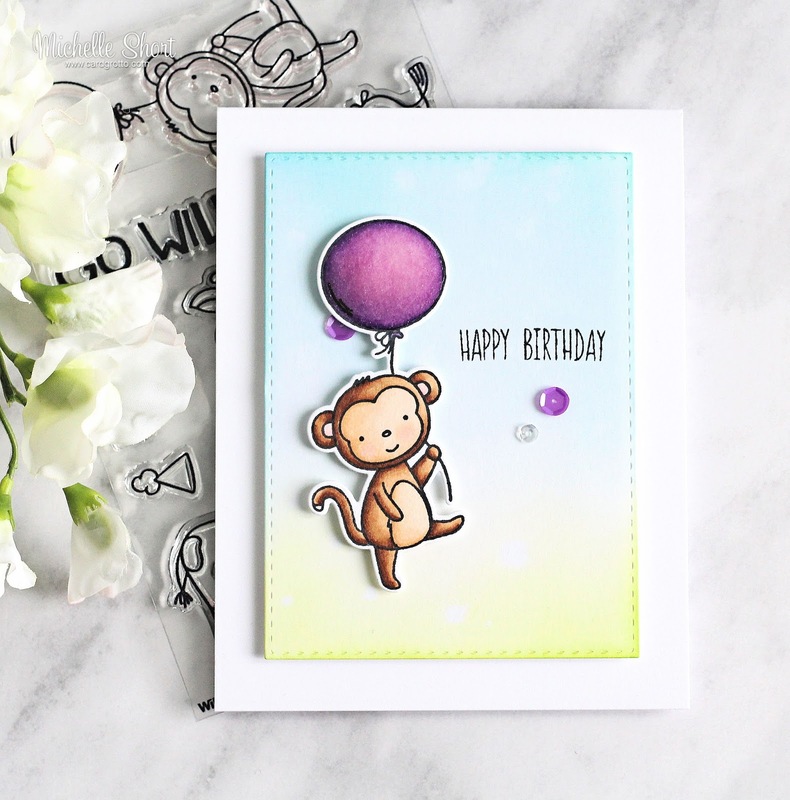 Hello there, I am delighted to be guest designing for Neat and Tangled this month. I will be sharing cards for the next three weeks on a Friday. 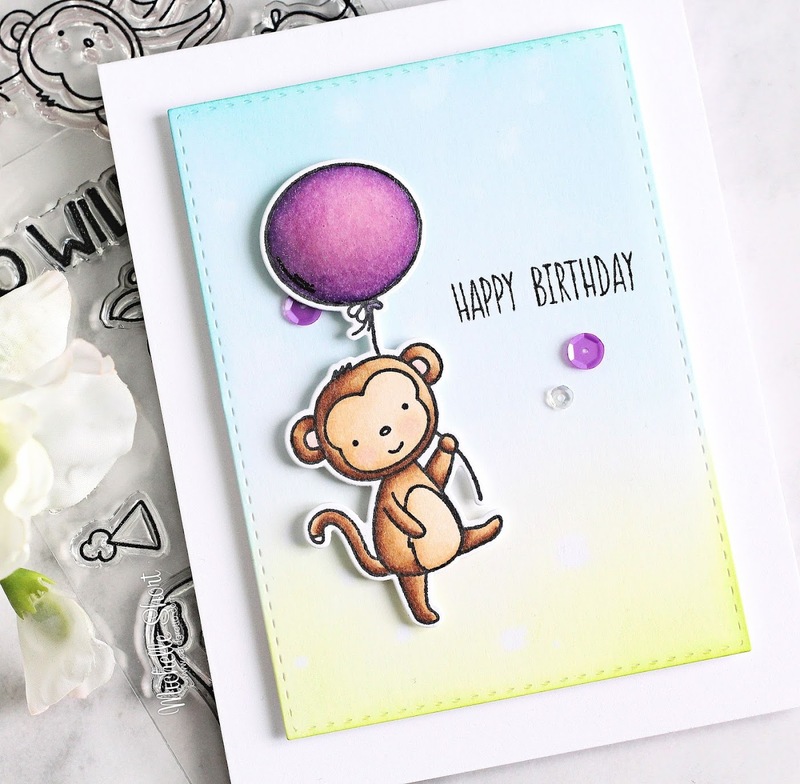 My card today uses the super cute Wild Ones stamp set and coordinating Nice & Neat Dies. I just love that cute monkey! I started off by stamping the monkey from the set in Memento Tuxedo Black Ink. the image was then coloured using Copic Markers (the colours I used are listed below the supplies section) and cut out using the coordinating dies. I took a panel of Bristol cardstock, cut this using a SSS Stitched Rectangle die and blended over Distress Inks for a soft background. I used Broken China and Tumbled Glass for the sky and Twisted Citron and Mowed Lawn for the grass. I then flicked on a little water for some interest. 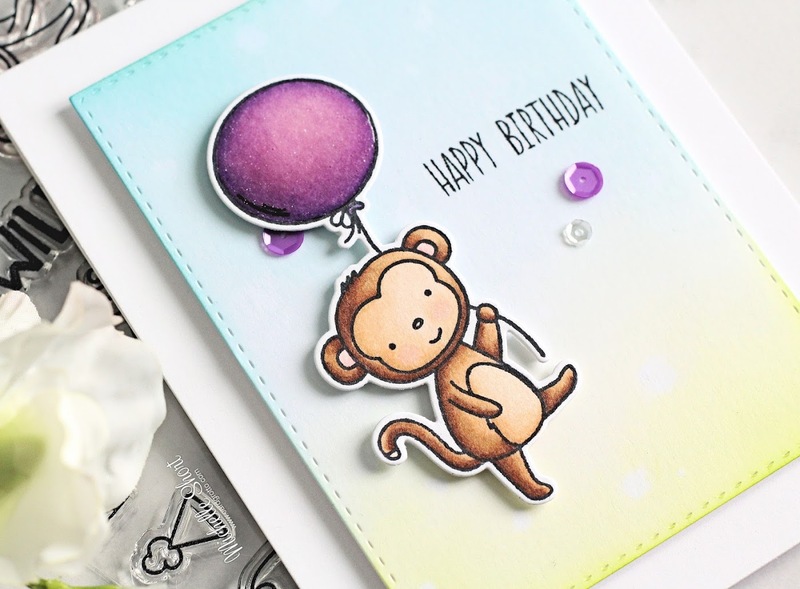 Once the piece was dry, I stamped the 'happy birthday' sentiment from the Big Top Birthday stamp set on to it using black ink. The panel was then adhered to an A2 white card base with foam tape. I adhered the monkey to the background piece, also with foam tape. To finish off I added a few sequins from the Mermaid Tail and Ocean Waves mixes. I then added a coating of shimmer pen and Glossy Accents to the balloon. COPIC MARKERS: Monkey - E59, E57, E55, E53, E51, E50, R00. Balloon - V17, V15, V12, V01. This is such a cute set and I cannot wait to use the other animals in it for more cards :) Thanks so much for visiting me today. 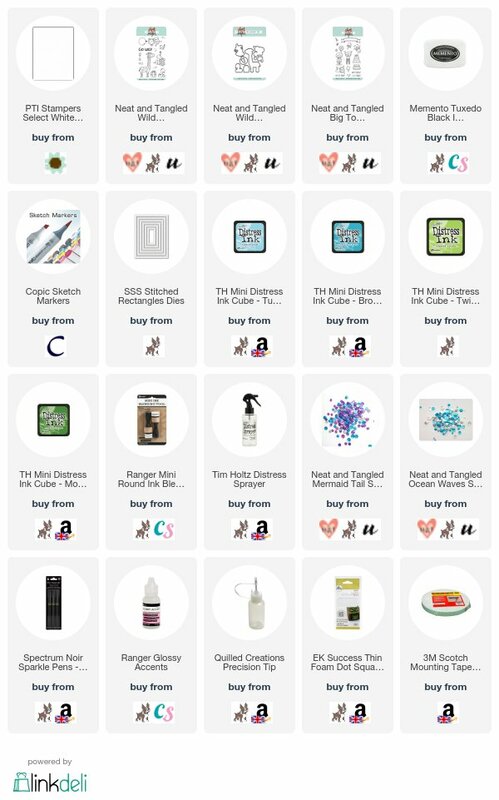 For more inspiration using Neat and Tangled products, please visit their blog. I hope you have a great day! Awesome card. Love that monkey!